Wow! 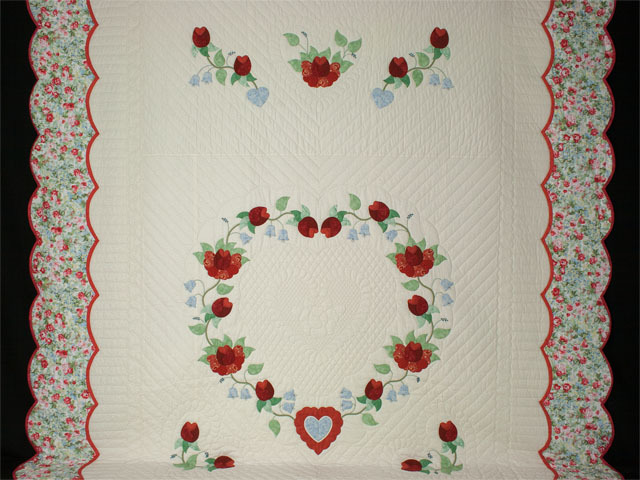 Look at the super hand quilting in the center heart, and the beautiful hand appliqué work in corals, paprika, blue and greens on ivory background. 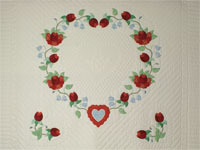 This is an original pattern designed and signed in embroidery by Lancaster's renowned quilt designer C Jean Horst. Jean is noted for her fine fabric selections and original designs. Exceptionally well quilted by an Amish woman. 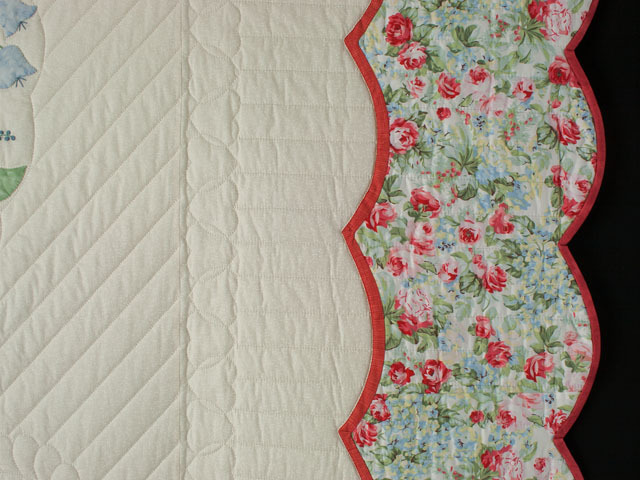 A backing is a matched neutral 100% cotton fabric covering the backing of the quilt. 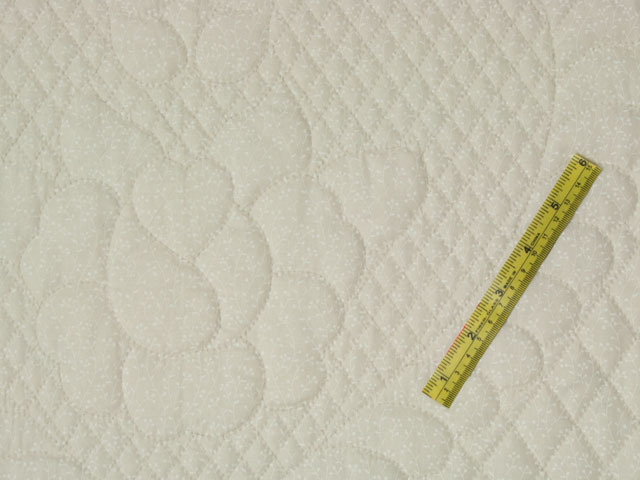 The quilting density is good, averaging about 110 linear inches of stitching per square foot. The stitching is exceptional with about 8 stitches per inch. The corner tag on the back side give documentation of the pattern name, designer, fabric content and made in America. A high quality quilt. Elegant and definitely exceptional workmanship! 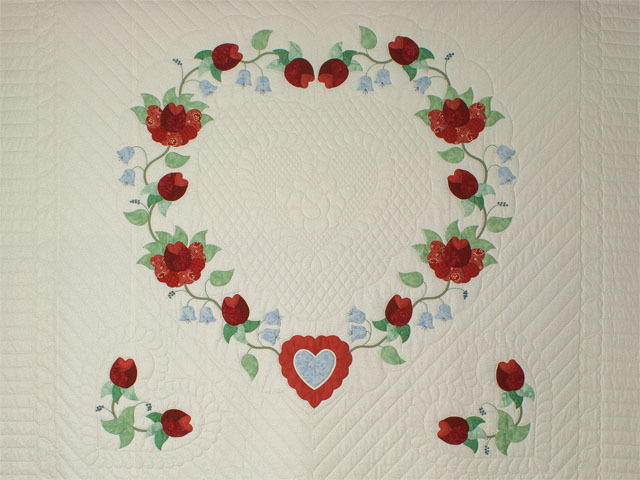 An original quilt designed by C Jean Horst. Gorgeous 100% cotton fabrics. Note the all hand appliqued designs and do not miss the tiny little hummingbirds!! 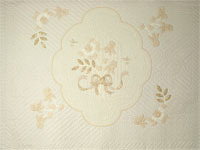 Excellent and abundant fine quilting with beautiful hand quilted feathers surrounding the central appliqué. Made in Lancaster. Copyright pattern -- directions unavailable. Elegant and definitely exceptional workmanship! 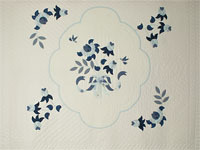 An original quilt designed by C Jean Horst. Gorgeous 100% moda cotton fabrics. Note the all hand appliqued designs and do not miss the tiny little hummingbirds!! 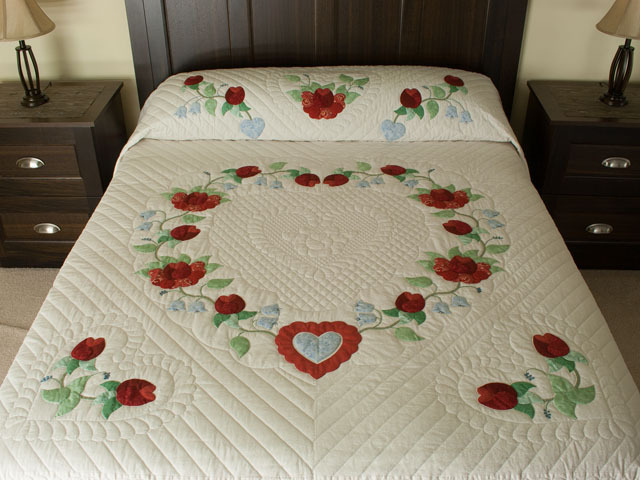 Excellent and abundant fine quilting with beautiful hand quilted feathers surrounding the central appliqué. Made in Lancaster. Copyright pattern -- directions unavailable. Elegant and definitely exceptional workmanship! 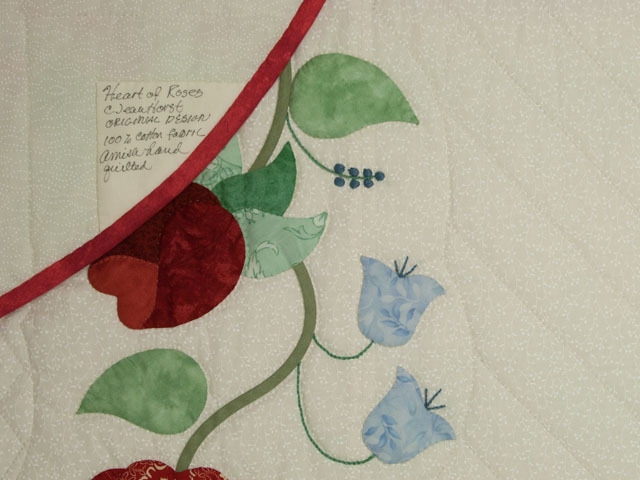 An original quilt designed by C Jean Horst. 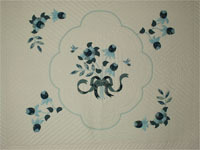 Gorgeous 100% beautiful blues cotton fabrics. 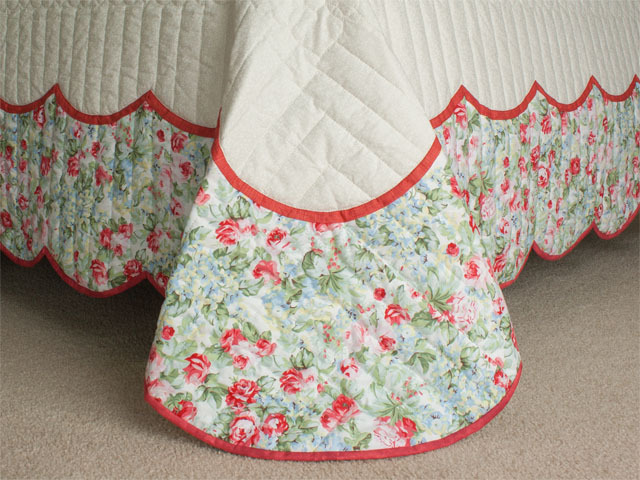 Note the all hand appliqued designs and do not miss the tiny little hummingbirds! 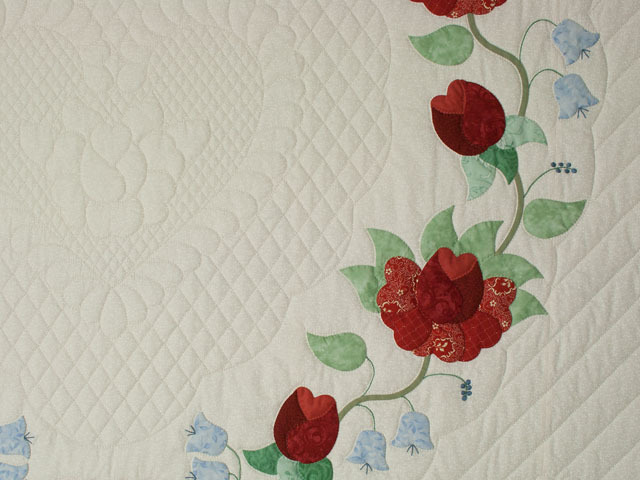 Excellent and abundant fine quilting with beautiful quilted feathers surrounding the central appliqué. Made in Lancaster. Copyright pattern -- directions unavailable.